NCFP President Virginia Esposito will share insights and findings from the yearlong study with family foundations and donor-advised funds committed to their “pride of place", along with specific examples of families who have found effective ways to balance and showcase their pride of place. 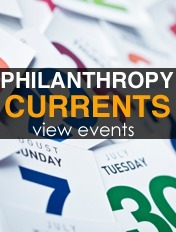 Join GWP for an update on the plans for the 2020 U.S. Census in Allegheny County, and what opportunities there may be for private philanthropy to help promote an accurate count. Join NCFP for a conversation that will feature a variety of practical tips for bridging the power divide with your grantees, with one another, and with other partners in your work.